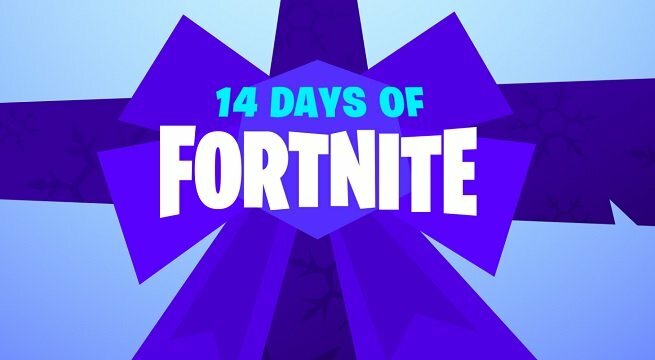 The Fortnite “14 Days of Fortnite” event kicked off today. This is a two-week celebration of Fortnite and of the holiday season, and EPIC Games is giving players the opportunity to complete one simple challenge every day for some exclusive holiday rewards. The challenges were supposed to be revealed as a surprise on a day-by-day basis, but of course, all of them have leaked early. We have our challenges revealed thanks to the work of some data-miners, and though we don’t know exactly what each challenge will require in terms of specifics and quantities, the files do give us a general idea of what we’ll be doing every day to unlock the rewards. The challenge to start a creative mode server is still live as today’s challenge, and can obviously be knocked out really quickly. If you haven’t logged on today to complete this one, you should try to check it off before you go to bed. It’s basically a free, zero-effort reward waiting to be claimed. We’ll keep you updated with more leaks as the rest of the seasonal event unfolds, so stay tuned. In the meantime, make sure you’re logging in every day to complete these easy challenges and get some nice rewards!